Baldwin Risk Partners is recognized nationally for being the best in the business. BRP and its Family of Companies are celebrated for their success, colleague accomplishments, and continued growth. Our focus is on the management of resources and capital to fuel organic growth and strategic partnerships. Under BRP, these investments bring new professionals, increased geographic representation, expanded value proposition innovation and new lines of insurance. BRP is recognized as a leader in the insurance industry. Baldwin Risk Partners ranked #3 on the 2017 Business Insurance Fastest Growing Brokers list. The Business Insurance Fastest Growing Brokers List ranks brokerage firms by rate of growth in 2016 revenue. In 2016, BRP accomplished a record-breaking revenue growth of 49.7%. BRP’s #3 ranking reflects a successful growth strategy that honors core values, culture and a focus on client advocacy. BRP also ranked #6 on the Top Benefits Broker by Growth list. 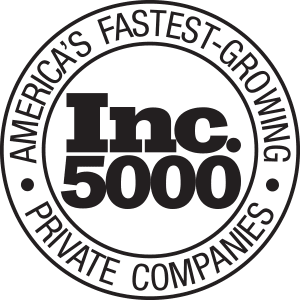 BRP has been ranked as one of the fastest-growing privately-held companies in America for seventh consecutive years, boasting consistent industry-leading growth of more than 20%. We stay ahead by investing today with an eye on the future. 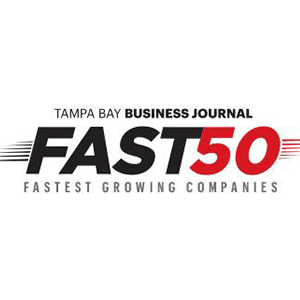 Baldwin Risk Partners (BRP) has ranked among the 50 fastest growing companies in Tampa Bay for four consecutive years. With a revenue increase of approximately 260% since 2011, BRP’s growth can be attributed to employee engagement, unshakable loyalty and high levels of client satisfaction. 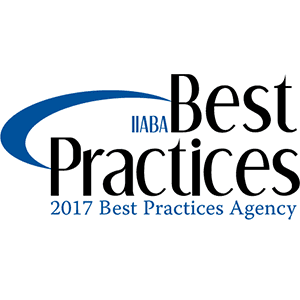 For five consecutive years, the Independent Insurance Agents & Brokers of America and Reagan Consulting named Baldwin Risk Partners one of the Best Practice Agencies in the country. We are honored to be placed among the top agencies, and to receive national recognition for our superior accomplishments. Each year, Great Places to Work and Fortune partner to conduct the most extensive employee survey in corporate America. 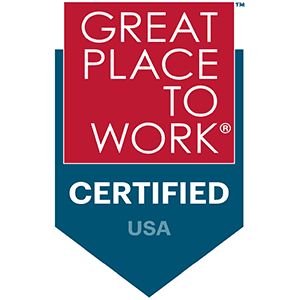 For the past two years, BKS-Partners was “Great Place to Work Certified”, making us eligible for all of the “Great Place to Work” lists released by Fortune Magazine. In 2015, BKs-Partners ranked sixth in insurance in the nation. We are honored to receive national recognition for providing an environment colleagues enjoy and appreciate. We love working here. 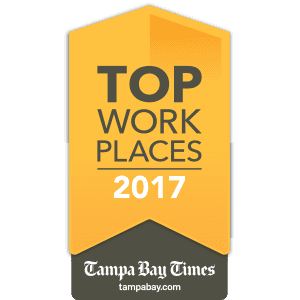 The Tampa Bay Times ranks the top 100 places to work in the Tampa Bay area based on superior leadership, solid pay and benefits, and a genuine sense of direction. BKS-Partners has been honored with the designation for the fifth year in a row. In 2013, we were ranked the #1 Top Workplace in the small category for creating a culture focused on people. 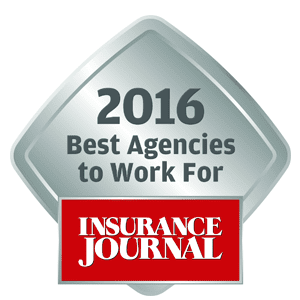 BKS-Partners was named overall winner in the Insurance Journal’s 2016 Best Agencies to Work For. BKS was selected based on employee feedback in regards to benefit programs, agency history, available resources, personal job satisfaction and happiness in the work place. 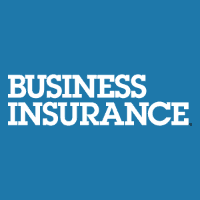 We are excited to be recognized nationally with Insurance Journal. 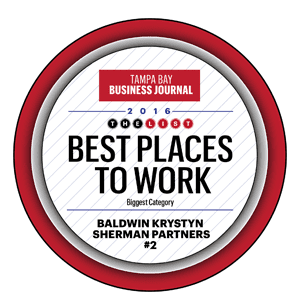 BKS-Partners has landed a spot as a Best Places to Work finalist in 2012, 2014, 2015, 2016 and 2017. In 2016 we placed 2nd on the Best Places list in the largest category! This award measures employee engagement, loyalty, and retention. The designation is based solely on an employee survey conducted by Quantum Workplace, measuring items such as team effectiveness, trust in senior leaders, feeling valued, manager effectiveness, compensation, and benefits. 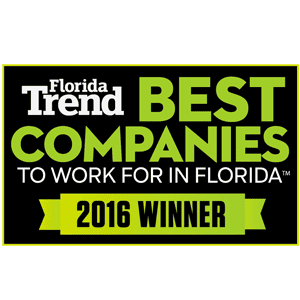 Created by Florida Trend and Best Companies Group, the program conducts an independent employee survey to measure employee satisfaction and companies’ best practices. For the fourth year, the colleagues of BKS-Partners have cited benefits, communication with leadership, and innovative recognition practices as reasons why the firm should be recognized among its peers. BKS-Partners ranked #5 on the best mid-sized companies list in 2016. Baldwin Risk Partners debuted on the Insurance Journal Top 100 Independent P/C Agencies List in 2017, ranking #76. We are excited to be ranked alongside the top agencies in the industry. Baldwin Risk Partners ranked #81 on the 2017 Business Insurance Top 100 Brokers List. BRP ranked the highest for growth increase of the 100 listed companies at 49.7%. BRP’s ranking is a testament to the efforts and acumen of our colleagues and partners, client first approach and our focus on cultivating a collegial and entrepreneurial culture. 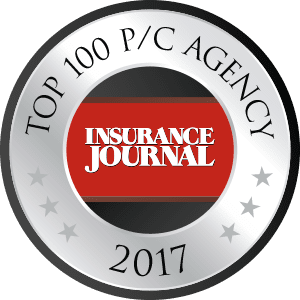 Baldwin Risk Partners is listed the Insurance Journal Top 100 Independent P/C Agencies List in 2018, ranking #43. We are excited to be ranked as one of the top agencies in the industry.